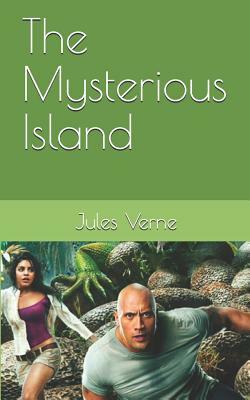 The Mysterious Island by Jules VerneAyrton's former companions arrive by chance on Lincoln Island, and try to make it into their lair. After some fighting with the protagonists, the pirate ship is mysteriously destroyed by an explosion. Six of the pirates survive and kidnap Ayrton. When the colonists go to look for him, the pirates shoot Harbert, seriously injuring him. Harbert survives, but suffers from his injury, narrowly cheating death. The colonists at first assume Ayrton to have been killed, but later they find evidence that he was not instantly killed, leaving his fate uncertain. When the colonists rashly attempt to return to Granite House before Harbert fully recovers.